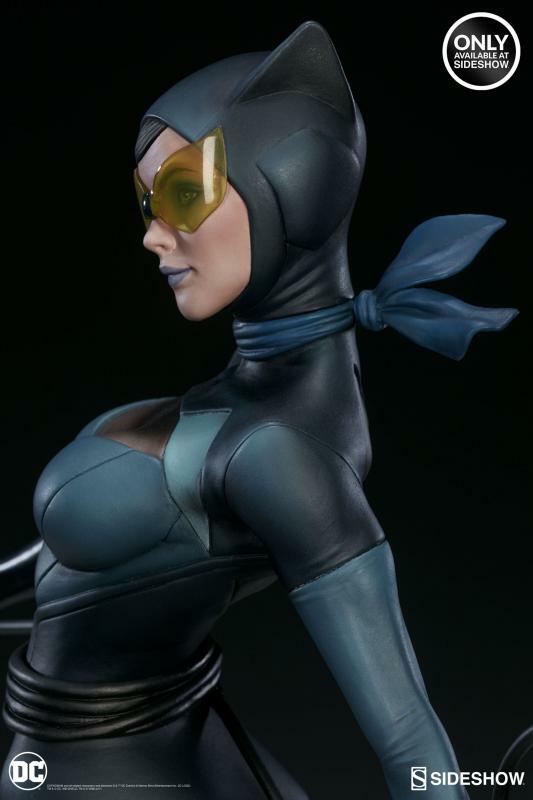 Soška Catwoman vytvořená podle filmové předlohy z figurální řady the Artist Series vycházející z grafického návrhu Stanley “Artgerm” Lau je vysoká cca 44,5 cm s detailním zpracováním. 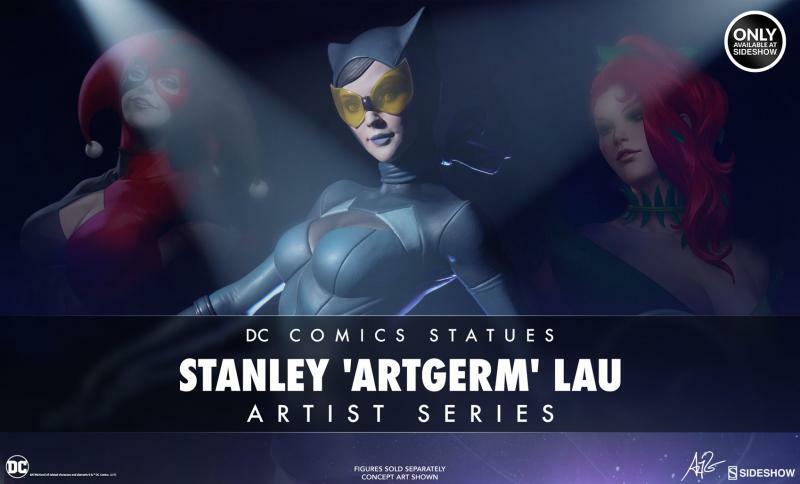 Drawing inspiration from the exciting world of high fashion and haute couture, celebrated pin-up artist Stanley “Artgerm” Lau brings his distinctive, fun and vibrant style to DC Comics most iconic cover girls. 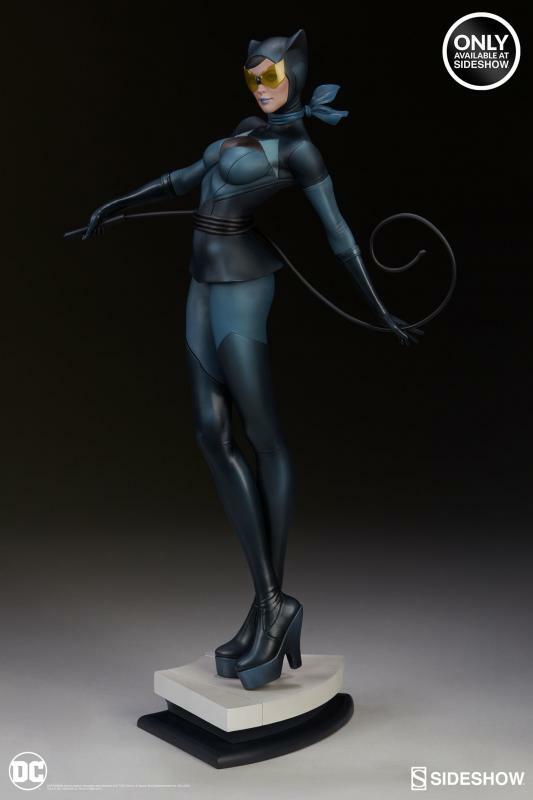 Runway ready, or simply ready to go on the run - Sideshow and Artgerm are proud to present from the Artist Series – the Catwoman! 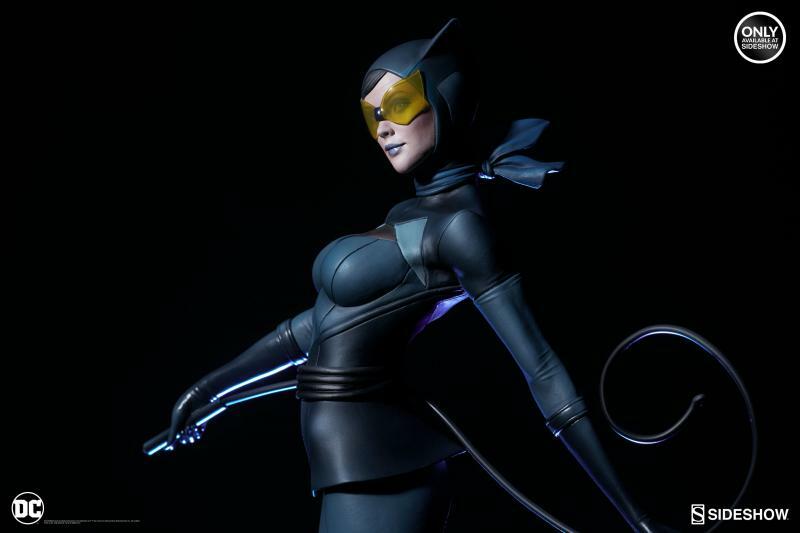 Considered by many to be one of the greatest comic book villains of all-time, Selina Kyle A.K.A Catwoman is no mere costumed criminal. Over the years since her initial inception, her character has evolved significantly, with a rich and fascinating personality that has kept readers coming back for more. Gotham s premiere femme fatale has proven to be a both a thorn in Batman s side and to hold the keys to Bruce Wayne s heart. 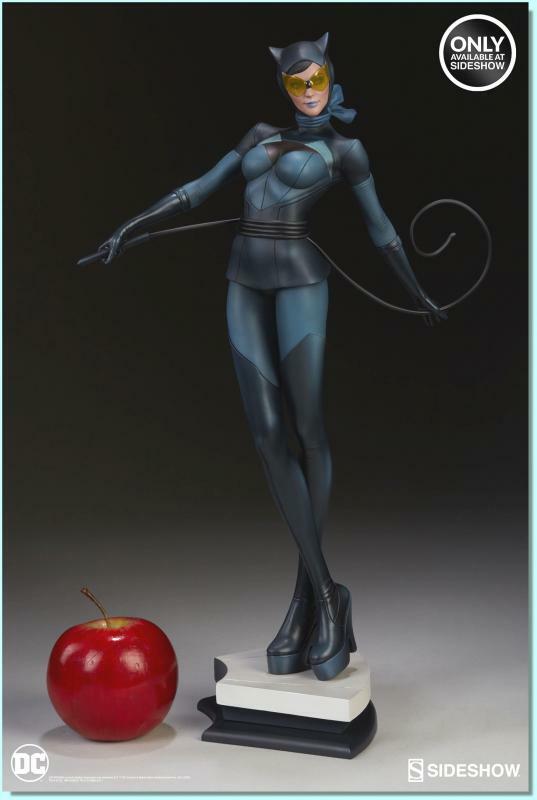 Artgerm s interpretation of this much-loved character strikes a playful pose, wrapping her trademark bullwhip around her waist and transfixing the viewer with a wry smile and a knowing glance. 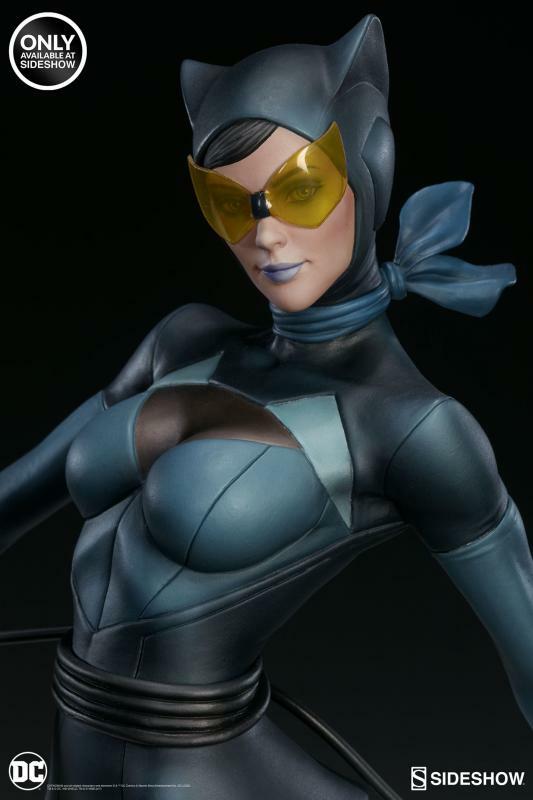 Sure to be a hit with lover of retro pin-up art as well as fans of Gotham s most mischievous miscreant, this limited run, artist series statue is sure to find pride of place in any home! Hailing from Hong Kong, Stanley Lau is a designer and concept artist who has brought his own signature blend of eastern and western art styles to the worlds of video games, illustration, and comic books. 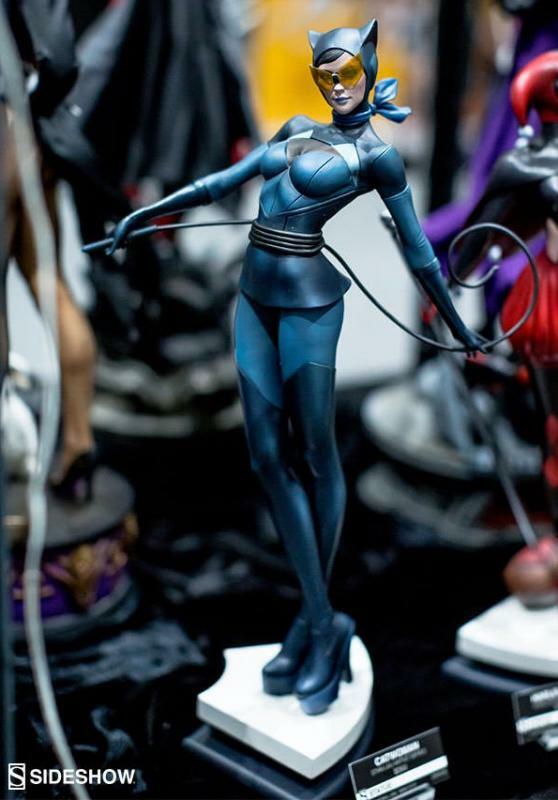 Known by the handle “Artgerm” his bold visual style has garnered great acclaim and earned him an ever-growing fan base of collectors and admirers. Stanley is the Creative Director and Co-Founder of the digital art studio Imaginary Friends Studios; he also runs a diploma course in Digital Design & Illustration in collaboration with 3dsense Media School Singapore. 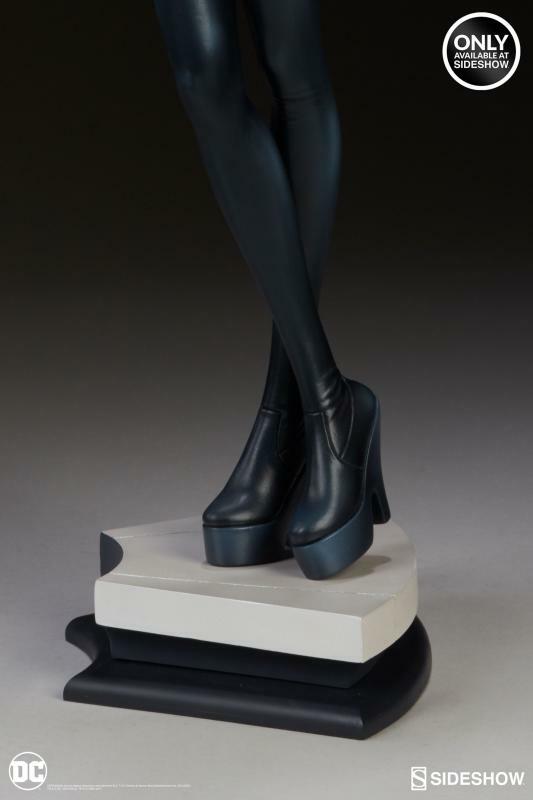 We are huge fans of Stanley s work here at Sideshow, and we had the great pleasure of collaborating with him previously on numerous projects, including his own original character the Pepper Premium Format Figure.